Although the body is downsized, one can still get great carrying distance while casting. The vibration lure can accurately scan the bottom, as is necessary for flounder fishing. The Beach Walker Vib 100 will come into its own in difficult situations. Its casting distance will exceed the angler’s expectations; the initial swimming response is great too. The lure’s tight vibration action can be felt while reeling in. This user friendly lure is of great advantage to anglers in the flounder game, particularly when one has to search a large area of surf. 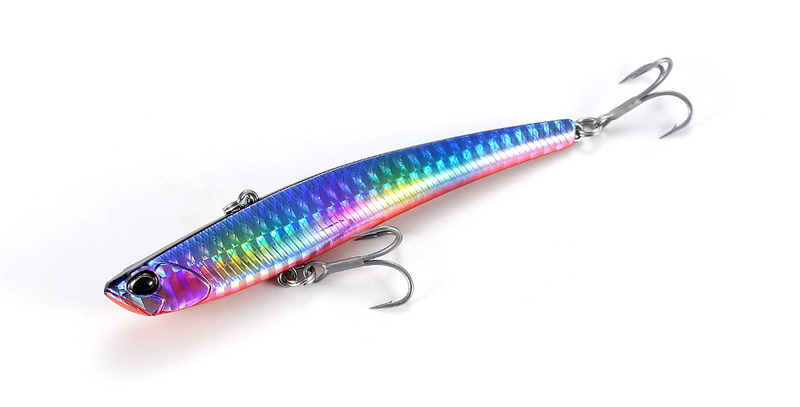 Slim vibration lures have a tendency to lose balance in the air if there is strong wind. However, through careful placement of the line-eye and delicate balancing, the Beach Walker Vib is a successful ‘surf vibration lure’ that can be cast even in strong winds. The initiation of the action is an important factor for the flounder game where the ‘lift and let fall’ technique is often used. 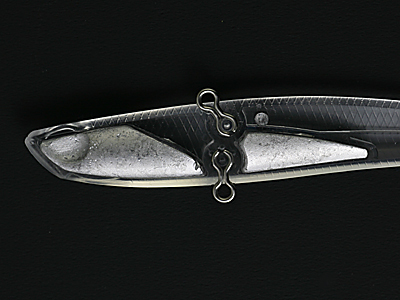 The thin body enables prompt initiation of a tight, vibrating action. One will be able to feel this vibration through the rod right from the beginning of retrieval. The high water resistance of a vibration lure creates considerable stress for Flounder tackle, which is normally used with small and slim minnows. To address this we have created a lure with a slight vibration and reduced reeling resistance ? a vibration lure which feels like a minnow. By carefully positioning of the shaped weight, we have delivered a natural swimming posture as well as a great flight posture.